Ridge pyramid skylight after repair (1) Notice the silver bitumin tape has been remove and a structural black silicone sealer has been used to reseal the joint the glass panels. 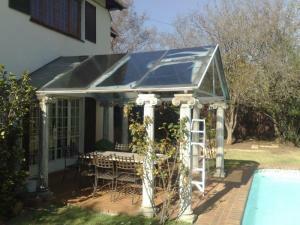 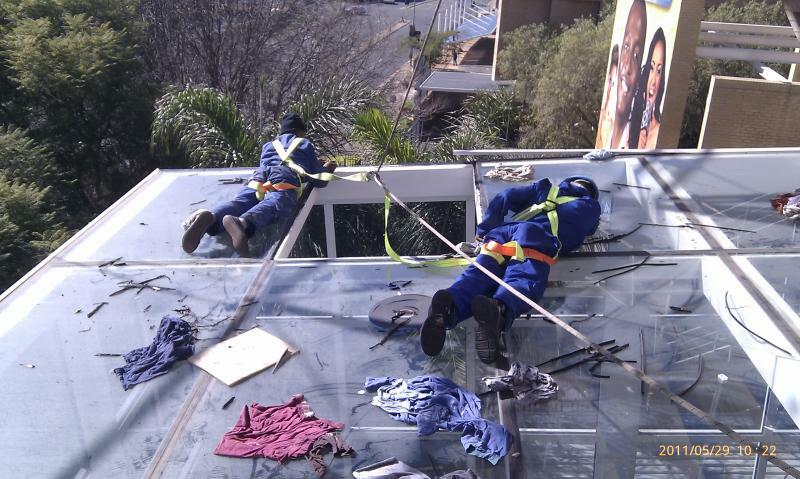 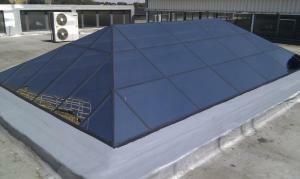 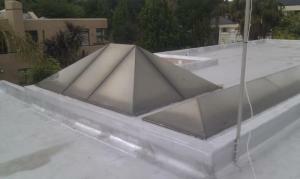 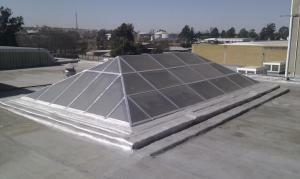 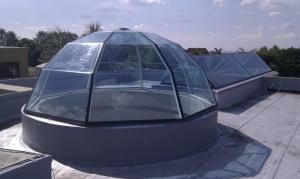 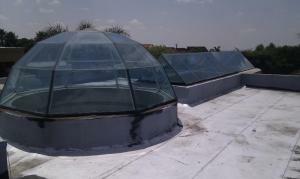 This photo shows the previous skylight after the repair and cleaning(2). 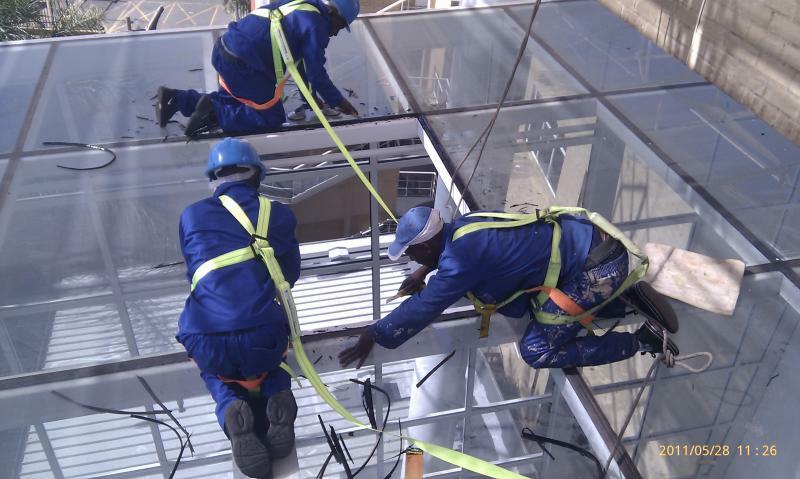 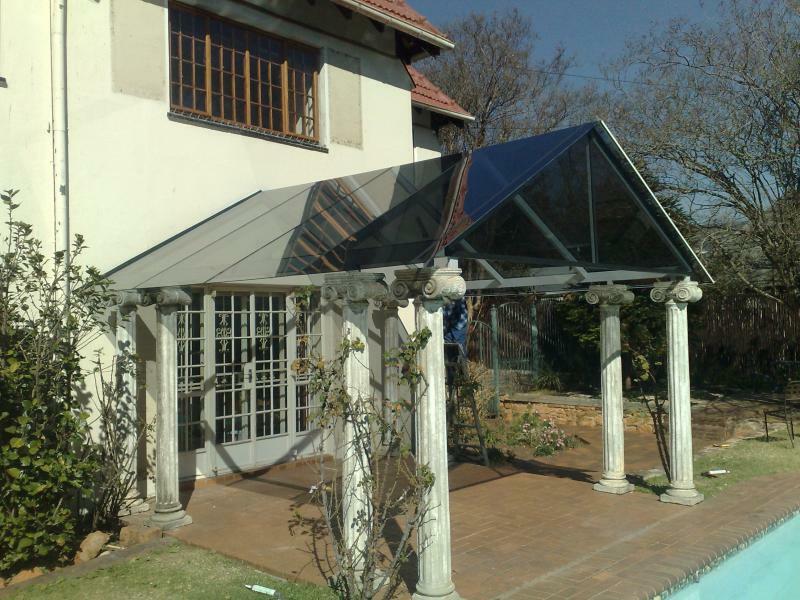 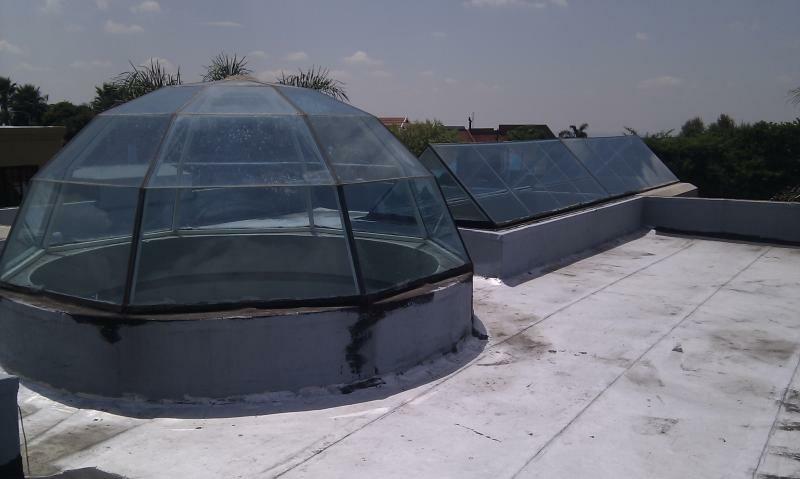 All the glass joint were resealed with structural silicone sealers and a compatible waterproofing compound was used to reseal the base of each skylight and painted with reflective silver to match the roof surface. This picture shows badly delaminated and if left in this state could deteriorate to the extent that it could fall in. 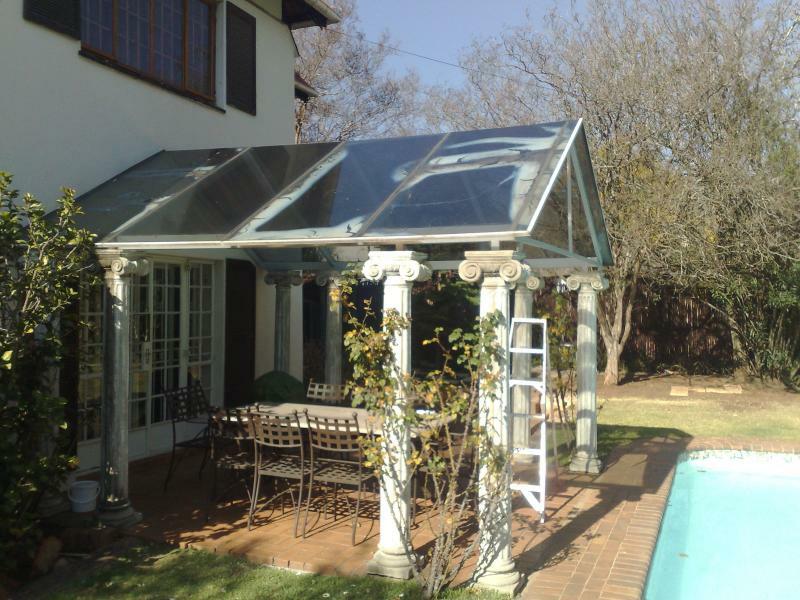 This is what happens to glass if it is not maintained and cleaned at regular interval. 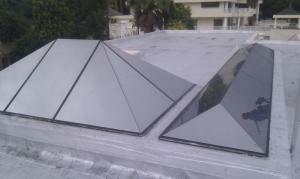 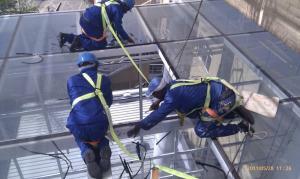 The glass in the previous photo could not be cleaned as the surface was damaged therefore new glass was fitted.